I'm a Brentford fan, and since the news this morning about Benham's acquisition of a majority shareholding in your club I thought I'd come and have a nosey on your forums and learn a bit more about your club. a) Is a Brentford/football fan - he isn't just trying to make some money but actually cares about the club and has a keen interest in football. i'm sure he won't have invested in your club without having a long-term plan for it. b) He thinks long-term and in terms of sustainability. There is an actual long-term plan and goals where he is involved. Here at Brentford for example, our Academy has been invested in heavily (to the point where it is one of the best in the country nowadays with an ever growing scouting network), we have a new stadium planned, construction is due to start shortly... and we have made some brilliant signings in the last 12 months or so. (And of course, we just got promoted to the second tier for the first time since 1992!). Anyway, let's hope we have a pre-season friendly against each other!? Looking forward to having a new team to support in Europe now! Thanks for you view on our new owner, it's of course most relevant to receive information and knowledge from someone actually having some. The general opinion in Denmark is divided into to groups, the ones finding it overall positive - hoping that he is ready for maybe some more investments - and some who is more sceptic, since Benham himself also has stated that the goal is profit in long-term perspective, together with the fact that he owns the majority of the bonds, and therefore can decide for himself. In line with that it his positive to hear you words of him, stating that he is commited to the club, and not only the economic bottomline. For me it seems positive. The millions is of course an important matter, but also his knowledge from your club, and the possibilites of cooperation with Brentford seems as a good possibility. I hope this can help our club development further, and if yours can as well it will only make me more happy. For sure it could be nice with a friendly. The best of luck to you in the coming season. Thanks for posting here. To me, it is reassuring to hear your description on our new club owner. As you might know, todays news was a surprice for everybody here, and is of course linked with a certain amount of anxiety. This is the first time our club has a majority owner. 1. Poor financial situation. This has haunted us for years - since 2008. Over-optimism and large transfer sales caused overspending, which collided with the global financial crisis. Until yesterday, we did not own our best players (owned by local investors, friends of the club), and faces another deficit this year. 2. A succesfull youth academy. Notable transfers is Simon Kjær (Lille), Winston Reid (West Ham) and Victor Fischer (Ajax). 3. A talented team. Today we have a good mix of profiles with some international caps, and talented homegrowns. With our current team, i guess we will compete for the top 4 spots i Denmark, which will secure a place in Europe. This summer, we will be in the playoffs for Europa League, but we will not be seeded. I guess the question on everybodys minds (In Denmark and Brentford) is: Why is Matthew Benham investing in FCM? I don't see FCM as a feeder club for Brentford at the moment. With respect: Our present team could match many championshipteams. If Brentford promote, it is a different matter, of course. What's your thoughts on the investment? Looking forward to follow Brentford next season! Thanks for your input. Of course I was a little sceptical at first, but after I have seen an interview with our new owner I am much more optimistic now. My biggest concern is that all these money that is invested in FCM will be spend on expensive players in order to obtain success in the short run. Because we have done that before (approximately in the years 2009-2011). We are a new club which supporters from other clubs tend to throw in our face. They say we have no histories and are a commercial business and not a real football club. It was Ikast FS and Herning Fremad that merged into FCM in the year 1999. The club have high ambitions and have never been afraid to tell the world about it. That sort of behaviour is frowned upon in Denmark where most people like the role of the underdog. The club made a statement to be national champions before 2011 and since that did not happen the reactions from the media and surroundings was to ridicule instead of saying. FCM did not become champions but their ambition helped the club forward. Can you tell us about Brentford FC? P.S. sorry for the potential misspellings and grammatical errors. Best piece of news in ages! We need competent people to lead FC Midtjylland. Very promising for the season and onwards. You are welcome anytime and a we welcome a friendly soon. We played Sunderland last year, but lost. Fcm - Historiens bedste mestre!!! Of course, it's an investment, and he wouldn't invest in something he didn't think would make a return. But he's certainly proved at Brentford that he sees the value in the long-term investment, and that the rewards will come in time if you set things up properly. At Brentford he has done this by investing heavily in the youth system as well as the new stadium. It's not simply been a case of putting in the minimum and then selling off players to earn profit. Not at all. Le Compte skrev: Hi and welcome. Interesting to hear about your team! Firstly, I don't imagine that a lot of Benham's financial input will be spent on expensive players suddenly (this wasn't the case really at Brentford, we made some really good loan signings, and invested in young players for the future, who have really proved themselves). Our youth academy was recently promoted to a 'category 2' youth set up, which means we now receive more funding and our youth teams play games against premiership and championship teams. 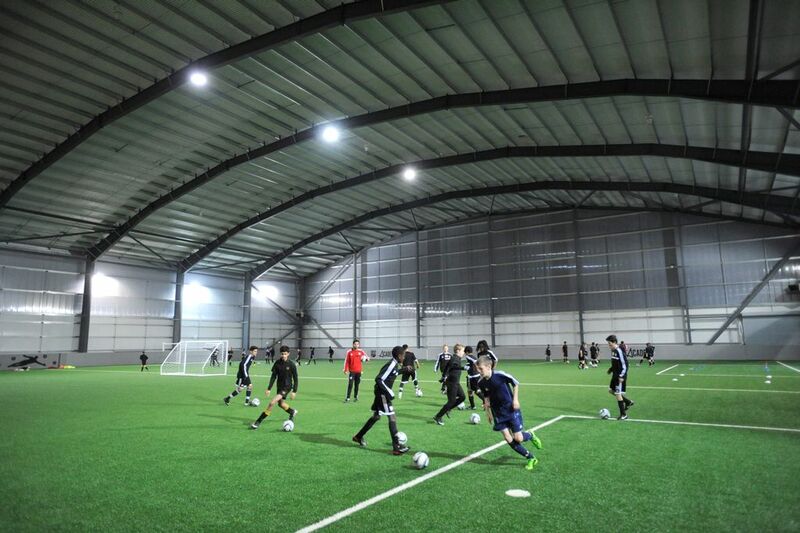 We have a new indoor facility that opened earlier this year where the Academy is based (see image below), and our scouting network has expanded rapidly over the last 12 months. We have some fantastic younger players - probably the most notable of which are Adam Forshaw, James Tarkowski, Jake Bidwell and recent signing Moses Odubajo. With our current squad, I am quietly confident we should achieve a mid-table finish next year. I'm going to be in Denmark this summer as my son is going to do a degree in Aarhus. I'm hoping to get to watch FC Midtjylland when they play Randers FC on the 4th August. Can I turn up and pay on the day or do I need to buy a ticket in advance, and also where would be a good place to sit? Griffingreen skrev: I'm going to be in Denmark this summer as my son is going to do a degree in Aarhus. I'm hoping to get to watch FC Midtjylland when they play Randers FC on the 4th August. Can I turn up and pay on the day or do I need to buy a ticket in advance, and also where would be a good place to sit? Look for the fan lounge at the right corner from the main entrance. Say hi I'm a Bees fan, and we will take very good care of you. Buying a ticket on the day should be absolutely fine. Randers FC is not a stadium filling side and many people will still be on holiday. The red areas - Faxe Kondi 4, 5 and 6 - are the best places if you want a seat. Unibet is the main stand for the home team, whereas "Udehold" is the away stand. Thanks guys, that's a lot of useful info. I have an annual londontrip in the spring - usual to watch arsenal play! Oh yep we're very near Hammersmith! For most matches you should be able to buy on the day... though if it is a big match just say hi on our forums www.griffinpark.org and a season ticket holder will surely be able to help get you tickets. For most matches you should be able to buy on the day... though if it is a big match just say hi on our forums http://www.griffinpark.org and a season ticket holder will surely be able to help get you tickets.